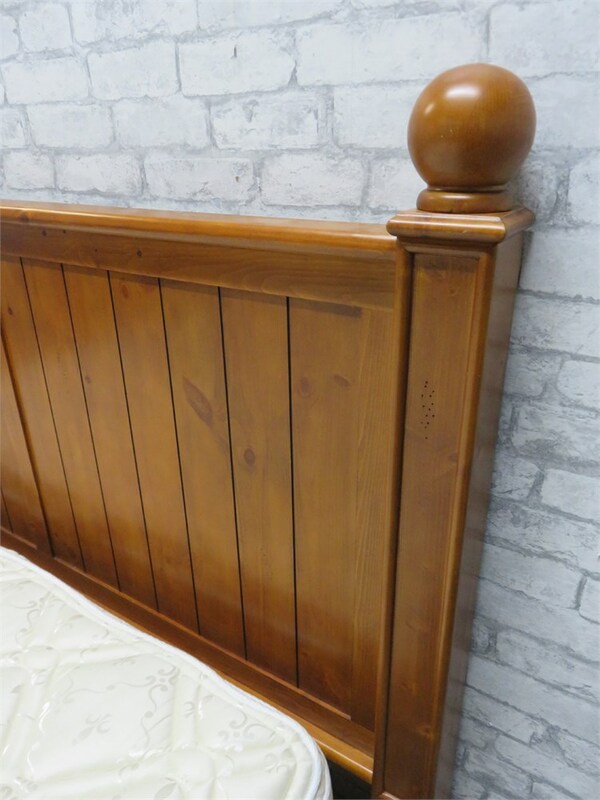 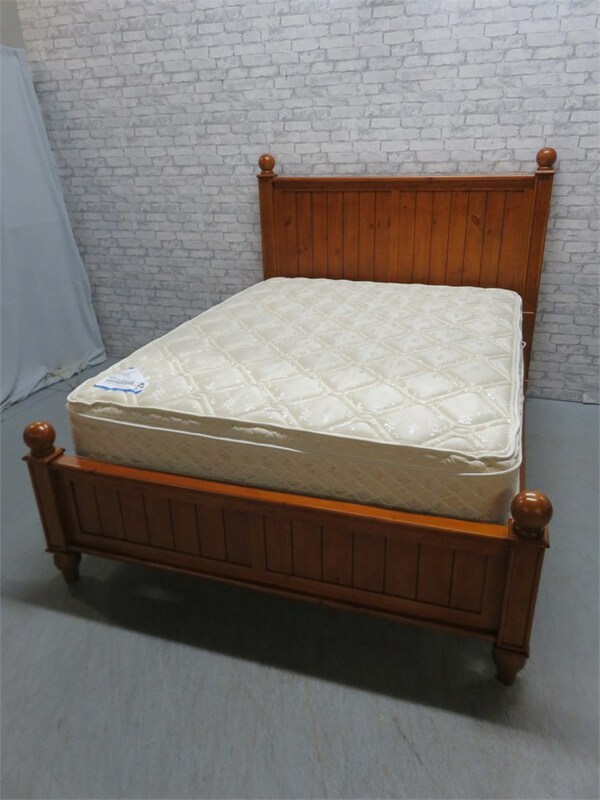 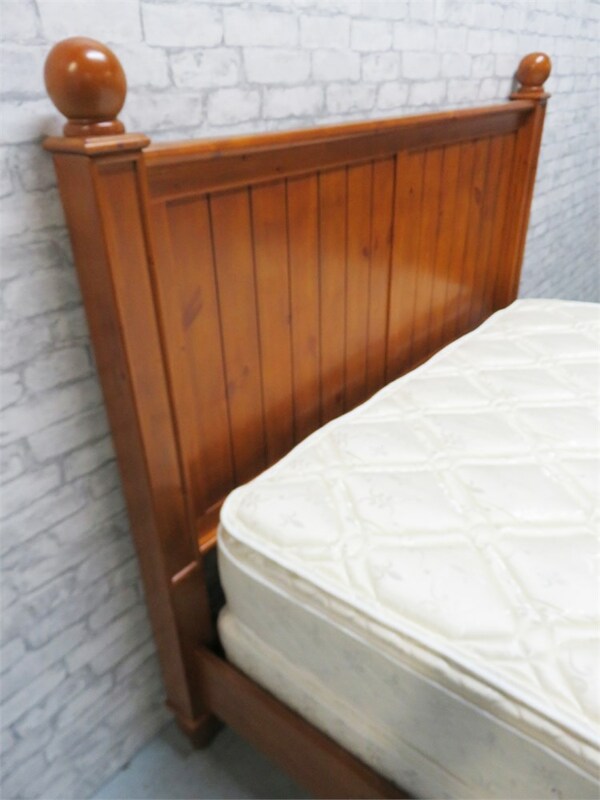 A beautiful queen bed with cannonball post panel headboard and low profile footboard. 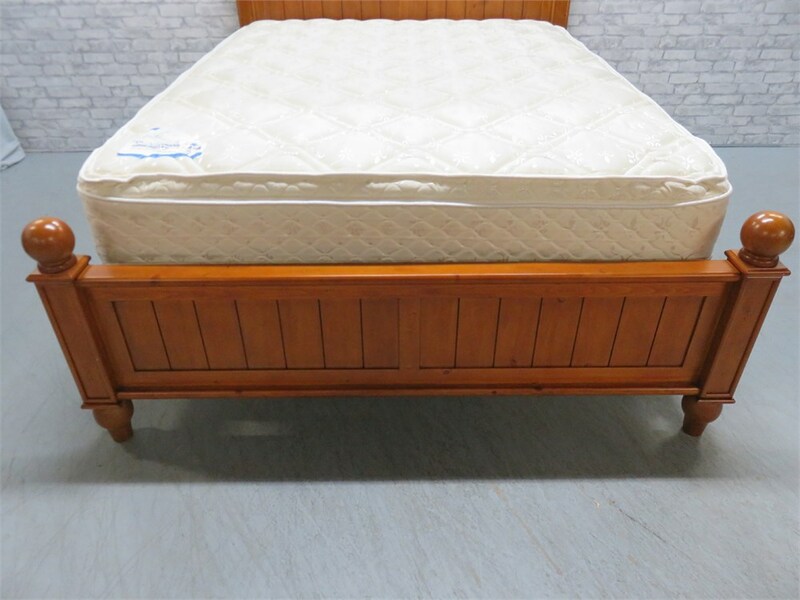 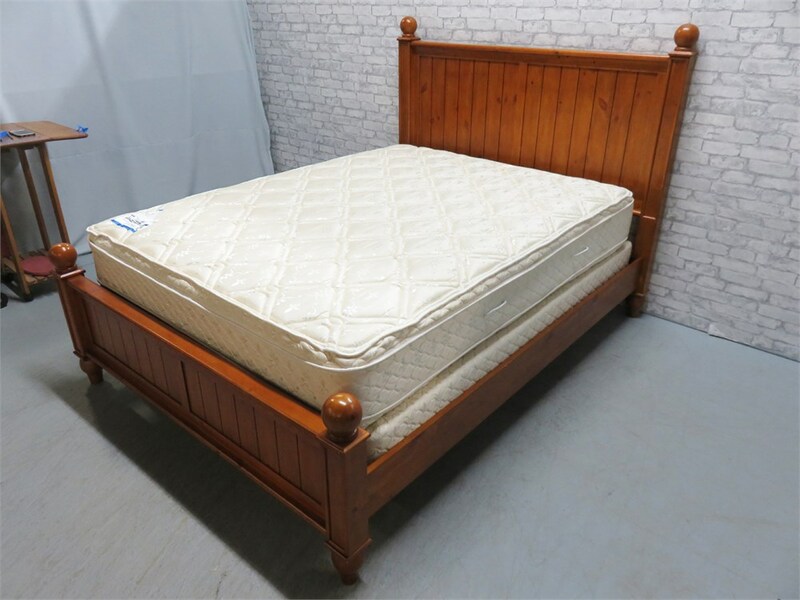 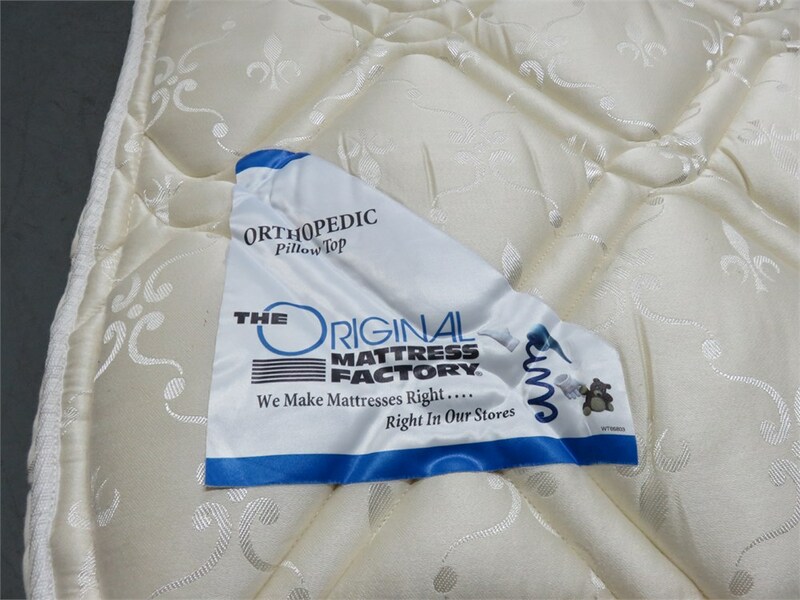 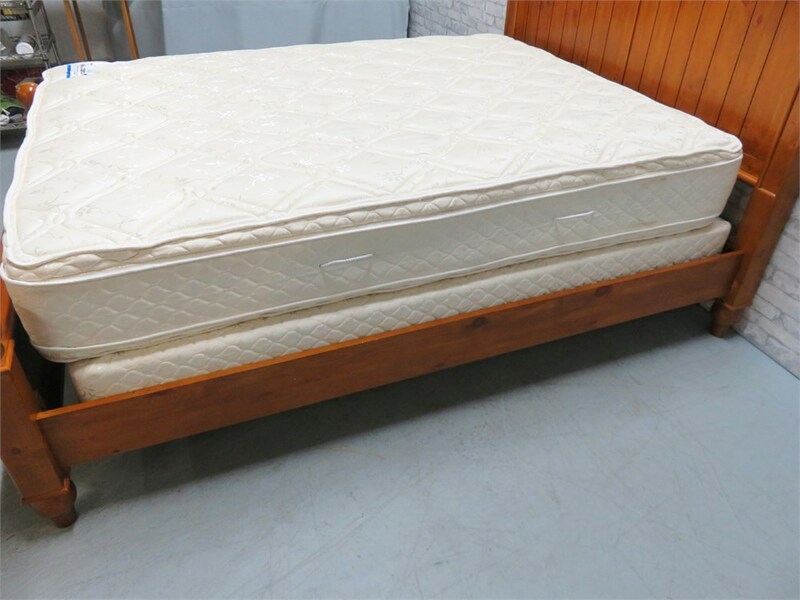 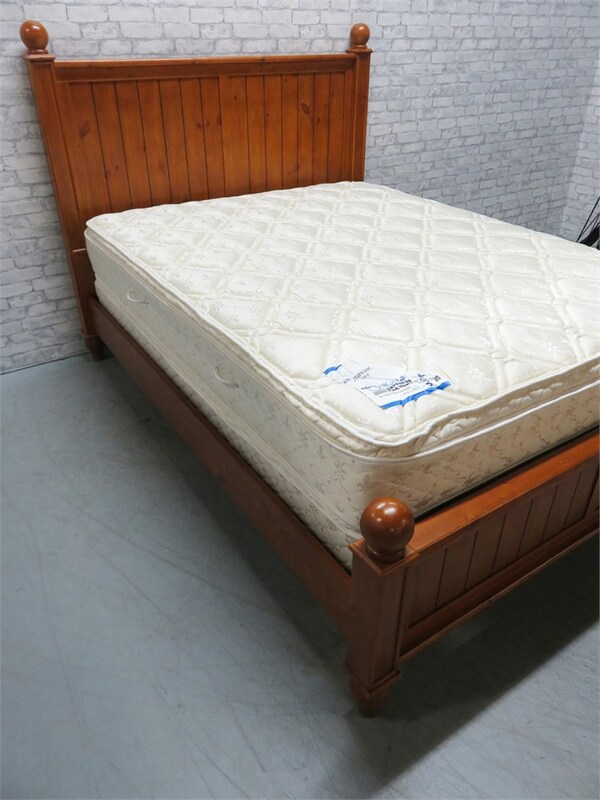 Includes an Original Mattress Factory orthopedic pillow top mattress and box spring. 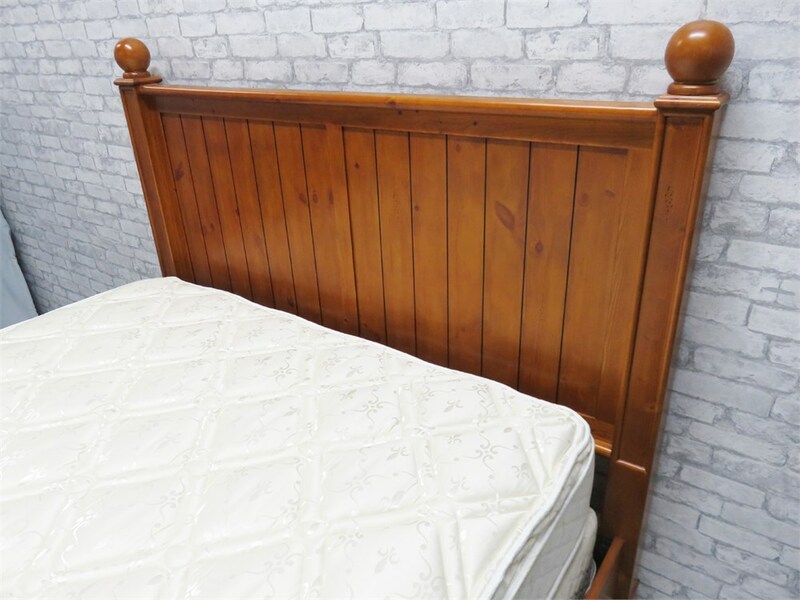 Bed rail/foundation frame is also included. This set appears to be hardly used and is in excellent condition.